Extreme Terminal Performance: super-accurate and delivering maximum knockdown power. 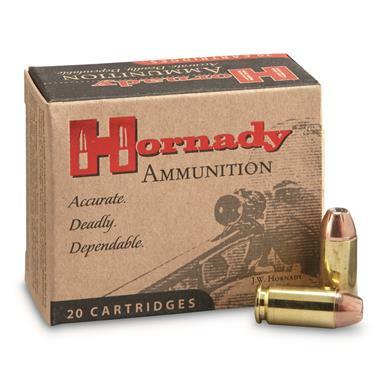 Get your Hornady® ammo right here! Hornady, .40 S W, JHP / XTP, 180 Grain, 20 Rounds is rated 4.9 out of 5 by 19. Rated 4 out of 5 by TaxMan from Great product and price! I was wanting to have some self-defense ammo in my 40 cal. semi-auto S&W. 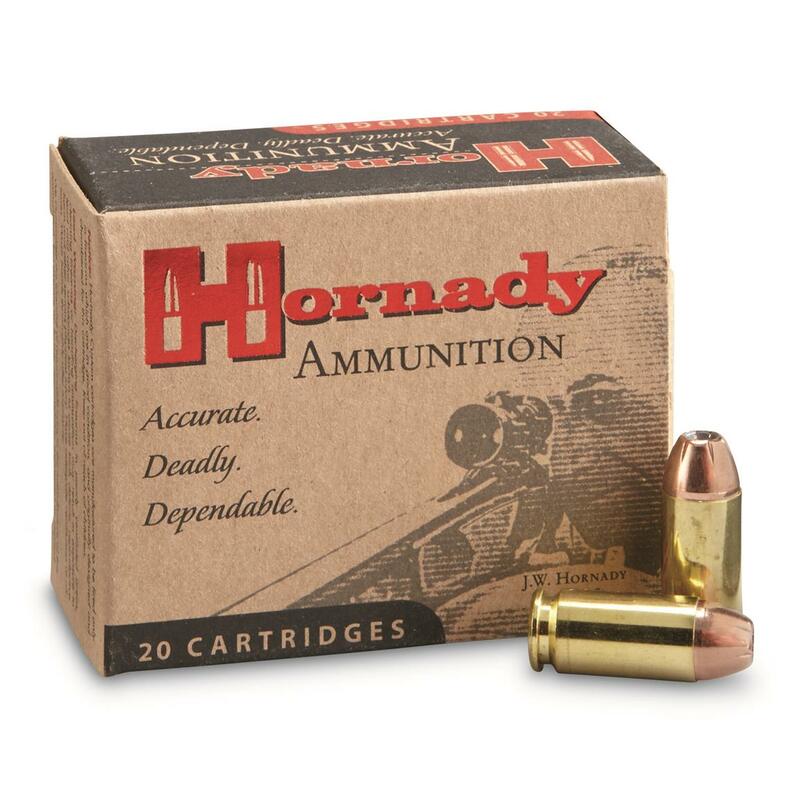 Hornady Ammunition is great quality and Sportsman's Guide consistently has great prices on ammo and other products it sells. Rated 5 out of 5 by Steve from Good price they punch nice holes in targets! Rated 5 out of 5 by TrailMixNC from Good Reviews Here & Elsewhere This is my primary round for home defense. Here's to hoping I never have to find out if all the positive reviews were right. Rated 5 out of 5 by RANDAL from Great ammo. Shoots well. Rated 5 out of 5 by JOHN from Great product and priced well below the local suppliers. Rated 5 out of 5 by THOMAS from Great stuff to good for range but perfect for home security. Rated 5 out of 5 by MARK from Best price in town! Rated 5 out of 5 by DAVID from Excellent ammo at a very reasonable price (at least by today's standards).